You’ll need to earn it! The first thing everyone sees and feels when they’re just starting to get stuck into Fort Triumph is ‘Wow, this game feels like X-COM!.. but medieval?’ and they’re absolutely dead-on right. 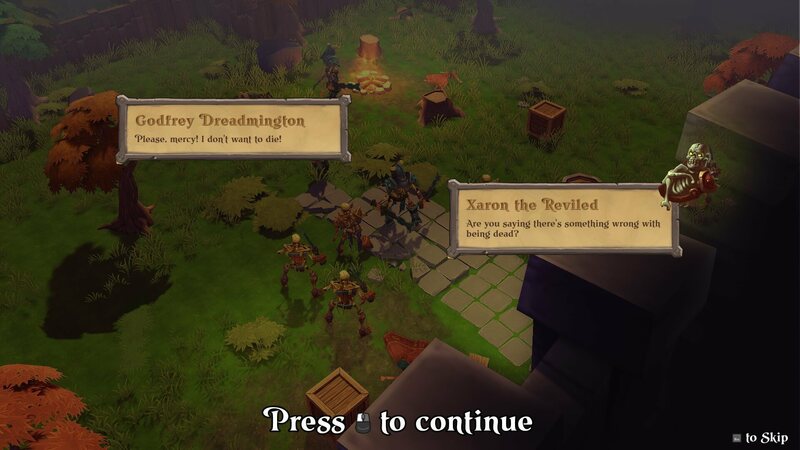 It’s turn-based. It’s tactical. You use a squad. So, right now it’s just sounding like the core mechanics of X-COM. Whilst there are many similarities and definitely some inspiration from the series and genre, Fort Triumph stands apart from its inspiration, with a lot of cool new ideas done exceptionally well. Fort Triumph is in Steam Early Access at this point, so yes, there are a few bugs knocking around and there’s a fair bit of polishing and refining required before it’s considered a whole game. That’s not to say that it isn’t a good game by a long stretch, as it’s a perfectly fine game to pick up and play quickly. 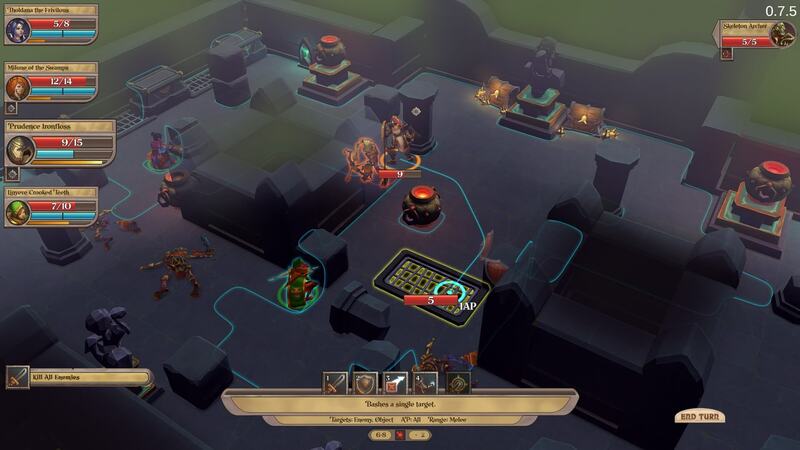 You may not get as much tactical enjoyment as you would from one of the games by Firaxis studios, as it doesn’t get that deep into it in reality, but if you’re at all familiar with those games, Fort Triumph is incredibly easy to pick up and play (but much like many turn-based tactical games, it’s also hard to master!). Although it has some needed improvements, it still plays well on the whole. Most noticeable is a lack of customisation: we can’t change the outfits or genders of those within our squad, nor can get an alternative looks or different classes. Whilst this may be due to the storyline’s focus in Fort Triumph, with the four female lead characters at the centre of it, this is most likely why there aren’t really any customisation options available (at least at this point, as there may possibly be options in the future! Although this, too, is uncertain). Personally, this left me a little bit disappointed, as even just a few small options to change things up with the characters would still be enjoyable. It may have given Fort Triumph more of a personal feel and a bit more interesting overall, as being stuck with the same four can be good for the story, but only if you’re a fan of it. The graphics themselves aren’t top-notch, but considering the size and depth of the game they’re suitable and just fine. They fit in with the theme and humour very well,helping create its unique style. The music is adequate, but for me it wasn’t terribly memorable or important to the game in general — it was a little repetitive on some of the longer scenarios, and could get a bit annoying quickly. 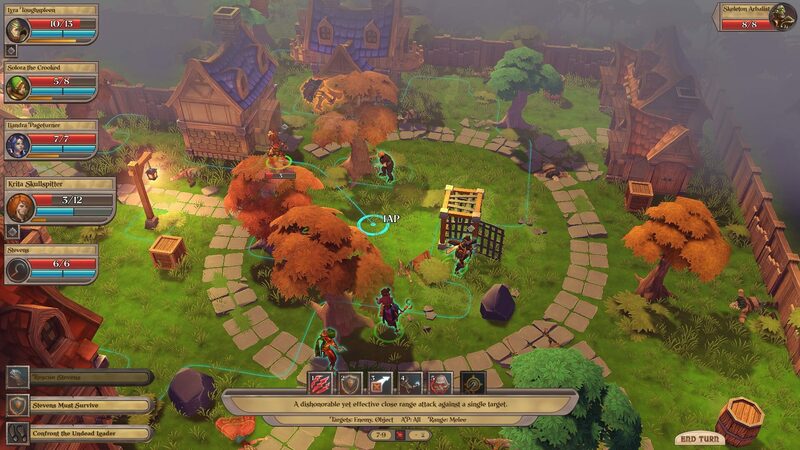 The gameplay itself is where Fort Triumph really shines at the moment. It does have one or two quirky moves that maybe aren’t super useful unless utilised properly in certain situations (like moving a box for cover or kicking it in the direction of an enemy, which in itself is a bit iffy and hard to get dead-on). But with similar abilities, such as good old ‘Overwatch’, it’s not difficult to get used to Fort Triumph’s tactical style at all, particularly if you’re experienced with the genre already. Once past the initial mission, you’re introduced to the world map — where you generally have to follow a questline taking you from place to place, advancing the story over the course of several missions. 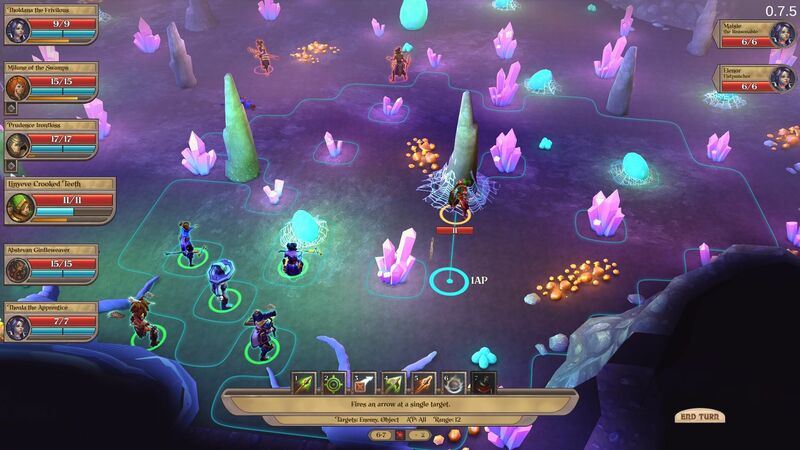 On the way, you can end up running into bands of enemies and entering small scenarios, perhaps because you can’t avoid them, but you can also go out of your way to do some, to level up your characters or get some extra loot, perhaps for missions that lie ahead. This gives the game some replayability — to an extent, as many of these scenarios are very similar overall. The storyline itself isn’t abundantly clear or particularly interesting. It’s mainly for humorous value (and it definitely makes me snigger once in a while) as it’s the gameplay itself that’s the main aspect of enjoyment on the whole. 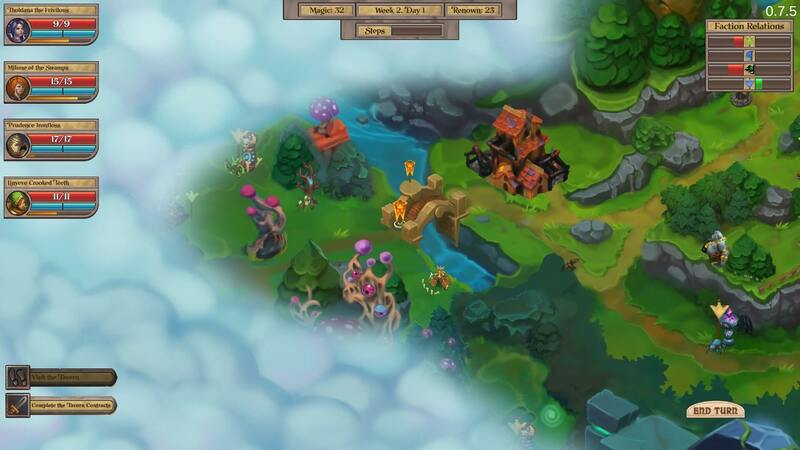 With the ideas of a strategy game similar to more renowned games, that’s what will hopefully rake in more players. Even though I do enjoy Fort Triumph, there is without doubt room for improvement. I personally would like to see other classes introduced, as presently there are only a small handful of classes available to your squad. It would be nice to see more of a progression tree for existing classes, too, as at present whenever someone levels up, you only have the choice between two different talents. Perhaps with a proper talent tree, you could create unique classes instead — rather than just having separate ones — to give the game more variety and let people play the way they want. This could be a possibility depending on how the developers take criticism on board from their steadily growing fan base. It would also be nice to see some kind of competitive multiplayer squeezed in somehow, but this is once again not certain or any time soon, at this stage. In conclusion, Fort Triumph isn’t a total triumph — yet. I believe that with time and care being put into the game, it could become quite special, as with every update and bug fix comes more promise of a better overall game. I think the game is a success, since I’m a big strategy fan; Fort Triumph is very easy to pick up and play, as most of its mechanics feel very similar to other games in its genre and it offers satisfaction as a result. Whilst it’s not a game I feel I could lose lots of hours to, it does make a change of pace from some of the more intense strategy games, with its charming humour and graphics. 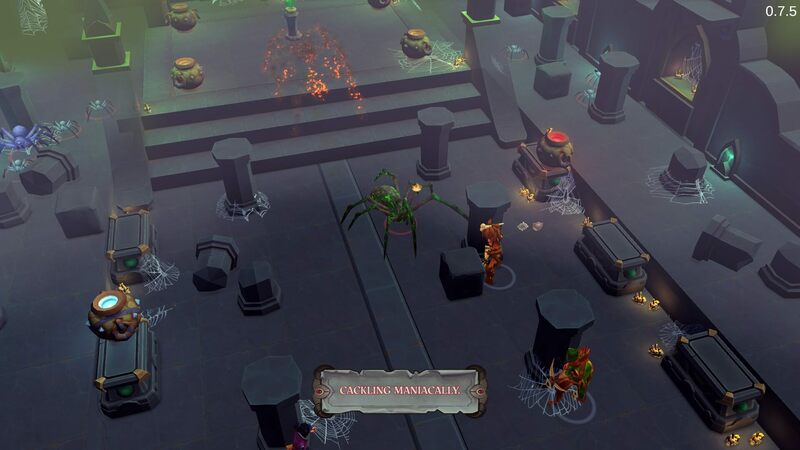 Fort Triumph is currently available in Early Access on PC, Mac and Linux.